Cologne - There will be a wealth of top international stars on display when FC Bayern München take on Borussia Dortmund in Der Klassiker on Sunday 4 October. bundesliga.com takes you through the head-to-head comparisons of all the major stars from both teams. 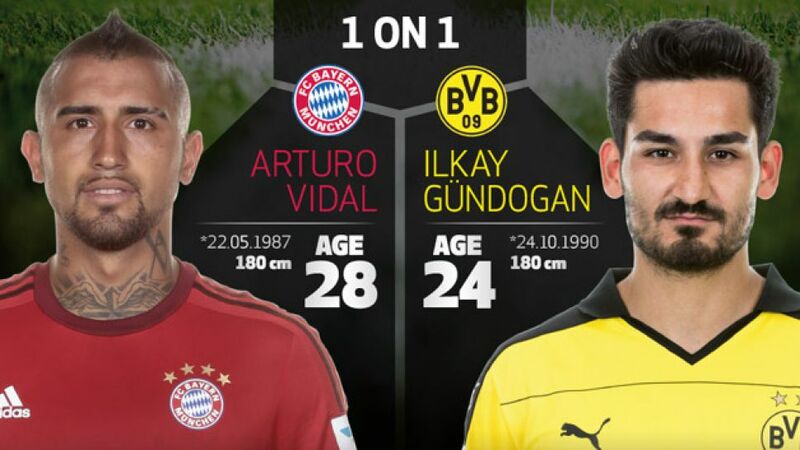 Check out our infographic on Arturo Vidal and Ilkay Gündogan below.